The ES2000 is compact, quiet, easy to operate, and very affordable. 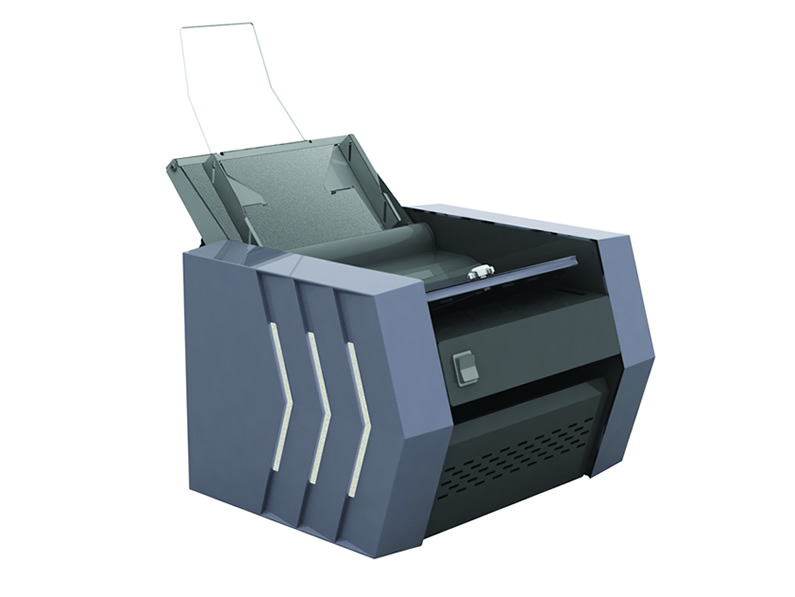 Processes up to 2,200 forms per hour with a monthly duty volume of 15,000 pieces. It is the perfect convenience machine for low volume needs. 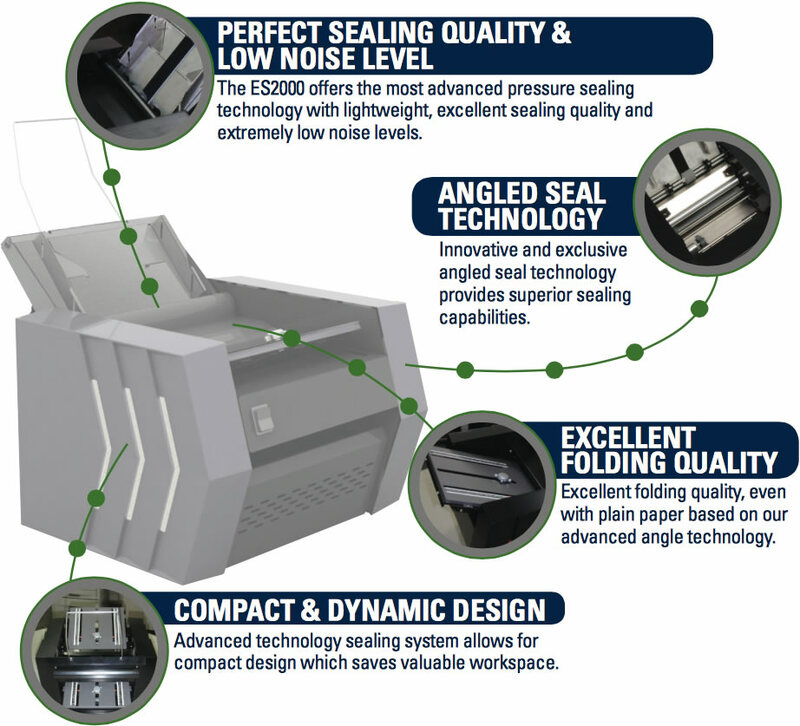 Features our unique angled sealer rollers for superior sealing. There is no better entry level pressure seal machine in the market today.